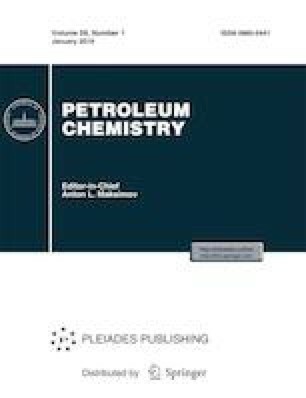 Results of a study of 1,2-epoxycyclopentane carboxylation to cyclopentene carbonate (CPC) in the presence of various catalyst systems have been described. It has been found that the reaction occurs most efficiently in the presence of cobalt (nickel) chloride (bromide) hydrate and a quaternary ammonium salt (TEAB, TBAB). It has been recommended that CPC should be synthesized under a CO2 pressure of no less than 3.5 MPa at a temperature of 140–150°С without any solvent or in the medium of a solvent, such as target CPC, DMF, or N-MP, at a 1,2-epoxycyclopentane weight fraction in the feed mixture of no less than 25%. These conditions provide the formation of CPC with a selectivity of 97–99% and almost complete epoxide conversion within 2–4 h. It has been shown that the developed catalyst system can be recycled.